An International Student is deemed to be a student who is not a permanent resident of New Zealand or is a dependent of a person who does not hold a permit to work in New Zealand. Countries with NZ Citizenship are Australia, Cook Island, Chatham Islands, Kermadec Island, Niue and Tokalau. This fee is inclusive of English tuition, stationery and any incidental costs associated with the School Programmes. This fee does not cover the cost of the school uniform, sports teams, photos and other non-educational school-based activities. The Registration Fee is only payable on enrolment. The Administration charge is payable each year of attendance. 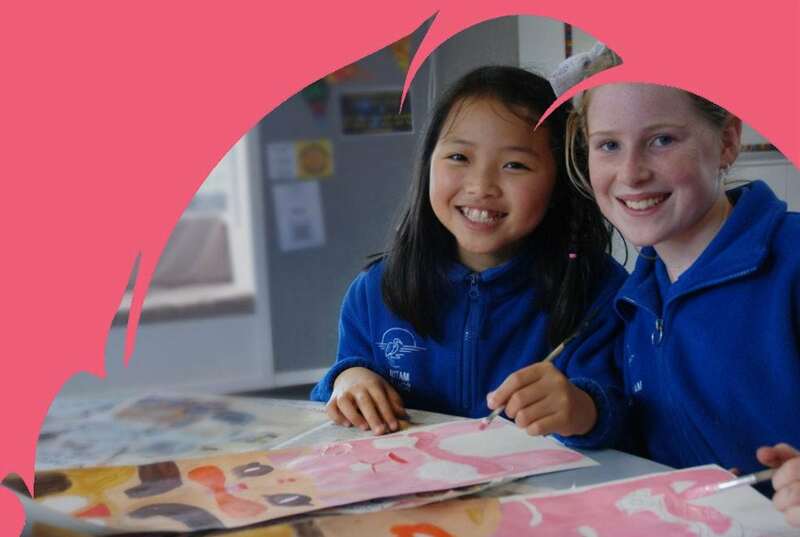 Matua School is able to offer placements for a number of International Students preferably to a maximum of one per class. Each enrolment application will be considered on an individual basis, taking into account the school’s existing student demand, class sizes and available resources. All International Students, whether previously enrolled at another school or not, must hold a student permit to attend Matua School. A student permit is particular to that student and that school. Each International Student needs to apply for a specific permit to be educated at Matua School. Matua School must be named on the student permit. What student details do we need to provide? Matua School must be provided with the personal details, full name, current address and telephone number, and accommodation situation of the student. Enrolment is subject to the parent living and continuing to live with the student in New Zealand. Should a student be found not living with a parent, the school is required to notify the Immigration Service and the student permit may be revoked. Passports will be checked for immigration status (a photocopy of the passport, visa and permit will also be taken). What are the conditions on acceptance? It is Matua School’s policy that it will only enrol International Students who live with their parents. Under what conditions could refunds be provided? When an International Student withdraws from enrolment within the year, a refund of fees may be applied for in exceptional circumstances (eg; family death, serious accident or illness). There will be no refund, except under exceptional circumstances – to be determined by the Board of Trustees. Do you provide fee protection? Matua School Board of Trustees guarantees to keep sufficient funds in reserve to enable a refund of the unused portion of fees should the school be unable to continue the course. Under what circumstances might tuition be terminated? Tuition may be terminated if the International Student is in breach of the school rules, as outlined in the Whole School Behaviour Management Plan. Is Matua School bound by a Code of Practice? A copy of the 2015 ERO report can be found here. Do we require Medical Insurance? Eligibility for publicly funded personal health and disability services in New Zealand is restricted to New Zealand citizens. Student permit holders and those on visitor permits are not eligible for publicly funded health services regardless of their length of stay in New Zealand. All foreign visitors to New Zealand and student permit holders irrespective of their length of stay, visa status or nationality must have cover for injuries. Full details on entitlements to publicly funded health services are available through the Ministry of Health and can be reviewed on their website at; www.moh.govt.nz. Recent changes to the Code of Practice for the Pastoral Care of International Students (the Code) require all International Students to have compulsory medical and travel insurance for the duration of their planned period of study. Matua School needs to sight the current medical insurance policy of every International Student upon enrolment. Where can we get Immigration advice? Do you provide a tour of the school? Prior to admission at Matua School the student and family will be introduced to the Principal, Senior staff and the class teacher. They will be given a short tour of the school and a general briefing about school and class organisation and routines. The class teacher will allocate a buddy for the student. What are the class attendance requirements? The teacher will record the absence in the class absentee file by 9:15 am daily. If the school has not been notified of the absence, contact will be made with the family for an explanation. Where a pattern of irregular, unjustified and/or unexplained attendance becomes apparent the Principal or appropriate senior personnel will follow up. Further actions would be taken as deemed necessary following recommended guidelines (MOE). If an International Student is absent from school for 20 consecutive days, he/she will be taken off the roll and the Immigration Service will be notified. What about school uniform, meals and school trips? Matua School has a school uniform and the International Student will be required to purchase this uniform at their own cost. Students will need to bring their own morning tea and lunch each day. School trips within the school curriculum will be covered by the tuition fee but any other activities and any out of school activities will need to be paid for separately. When students from other countries come to study in New Zealand, it is important that those students are well informed, safe and properly cared for. New Zealand educational providers have an important responsibility for international students’ welfare. This pamphlet provides an overview of the “Code of Practice for the Pastoral Care of International Students” (the Code), and provides a procedure that students can follow if they have concerns about their treatment by a New Zealand educational provider or agent of a provider. The Code is a document providing a framework for service delivery by educational providers and their agents to international students. The Code sets out the minimum standards of advice and care that are expected of educational providers with respect to international students. The Code applies to pastoral care and provision of information only, and not to academic standards. A Summary of the Code of Practice for International Students. How many international students do you have already? We have over 15 Korean students every year, and also a number of Chinese students. 마투아 초등학교는 학생들이 자신감을 갖고 적극 참여하며, 평생 배움을 능동적으로 이어 나가는 학생 육성을 목표로 합니다. Matua school was established in 1965 and was first known as “Levers Road School”. The name changed to Matua School in 1966. We are a co-educational state school with a roll ranging from 400-500 students aged from 5-11 years. It is located in the Bay of Plenty. 마투아 학교는 1965년에 “Levers Road School” 이라는 이름으로 설립되었고 1966년부터 마투아 스쿨로 바뀌었습니다. 마투아 학교는 만5세-11세 사이의 재학생380-400 명을 교육하는 공립 남녀공학 초등학교로 베이 오브 플렌티 지역에 위치하고 있습니다. The climate is temperate with a warm summer and moderate winter. The average temperature ranges between 18-26 in the winter. 따뜻한 여름과 온화한 겨울이 주된 날씨며 여름에는18도-26도, 겨울에는 5도-16도의 기온을 유지합니다. Tauranga is the largest city in the Bay of Plenty and the fastest growing city in New Zealand with magnificent beaches, wide range of social and cultural activities, outdoor pursuits and holiday facilities. With a population of over 120,000 Tauranga is only a short journey from Auckland and the tourist attractions of Rotorua and Taupo. 타우랑가는 베이오프 플렌티 지역의 가장 큰 도시며 뉴질랜드에서 가장 빠르게 성장하고 있는 도시입니다. 아름다운 해변과 다양한 사회 문화적 행사, 야외 활동 그리고 관광 시설들로 가득합니다. 120,000명의 인구를 가진 타우랑가는 오클랜드와 가깝고 관광지로 유명한 로토루아, 타우포와도 인접하고 있습니다. Kia Ora. 모든 학생들과 가족들 그리고 방문객들에게 따듯한 환영 인사를 드립니다. 여러분 모두가 우리와 함께 즐거운 시간을 갖게 될 것이라 믿으며 앞으로 여러분과 가족들을 더 잘 알아갈 수 있기를 기대합니다. 우리 마투아 학교는 다양한 학습과 체육, 문화 프로그램을 통하여 학생들이 각자의 재능을 성공적으로 계발하고 키울 수 있도록 돕고 있다는 것을 매우 자랑스럽게 생각합니다. 이러한 모든 교육 프로그램들은 ‘The Matua Learner’의 목표에 따라 진행되고 있습니다. 글을 읽고 쓰는 능력과 수리적 지식 교육에 집중함과 동시에 아이가 모자란 곳 없이 모든 분야에서 바르게 성장해야 한다고 믿고 있습니다. 또한 우리 학교 프로그램을 통하여 창의성을 기르는데도 소홀하지 않게 지도하고 있습니다. 우리 학교는 많은 학생들의 성공에 큰 자긍심을 갖고 있습니다. 우리는 훌륭한 교육 환경 속에서 한 사람과 그 사람의 창의성이 최고의 자질이 되어 스스로 강한 주인의식을 갖고 다양성을 수용하는 학습터인 마투아 스쿨을 이끌어 가고 있다는 것을 큰 영광으로 생각하고 있습니다. 학교 모든 교직원들은 교육전문가들로서 헌신적이며 적극적입니다. 학생들에게 필요한 풍부하고 흥미로운 교육을 제공하며 그들의 미래 학습의 기초도 쌓게 하고 있습니다. 우리 학교는 학부모님들과 여러 지역단체들, 학부모와 교사 모임인 PTA, 그리고 운영이사회의 적극적인 지지도 받고 있습니다. 우리는 강력하고 긍정적인 학교-가정의 학습 연계와 협력이 어린 학생들의 잠재 능력을 계발하고 학교 교육을 통해 최대한 발휘될 수 있다고 믿습니다. 따라서 학교와 가정의 원활하고 개방적인 대화 소통이 매우 가치있고 중요합니다. 우리 아이가 공부하기에 어디가 최선의 학교인가를 알기 위해서 가장 중요한 점은 그곳을 직접 보고 듣고 학교가 어떻게 운영되는지 직접 살펴보는 것이라고 생각합니다. 그러니 언제든지 편안하게 전화주시고 방문하셔서 학교를 둘러보시길 권합니다. Matua School has agreed to observe and be bound by the Code of Practice for the Pastoral Care of International Students, published by the Ministry of Education. 마투아 학교는 뉴질랜드 교육부의 해외 유학생 보호 및 관리에 관한 지침에 서명하고 준수하는 학교입니다.